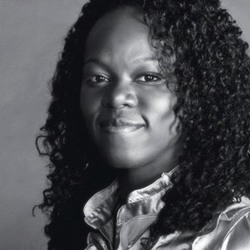 Although born in Brooklyn, New York, Animator and Animation Recruiter Allyssa Lewis has spent the last two decades expanding her creative reach in Atlanta, Georgia, where she uses her BFA in animation from Savannah College of Art Design - Atlanta toward experimental animation and mixed media illustration. She is most noted for her animation on over 75 episodes and promos of FX's Emmy nominated series "Archer" and work produced for NBC, i am OTHER, and Captain Planet's Planeteer Movement. As the CEO and Founder of the animation resource and staffing agency, My Animation Life (MAL), she primarily focuses on the career placement and portfolio enhancement of artist within the animation-related industries. Creating Georgia's most inclusive animation map and calendar are just a couple of the popular assets MAL provides to strengthen Georgia's animation industry. Often Lewis credits her multitude of industry expertise to her seven year service as the Vice President of ASIFA Atlanta, one of the largest animation societies in the southeastern United States.